Thyroid supplements may prove extremely beneficial for consumers that suffer from hypothyroidism. These supplements can improve the thyroids ability to produce thyroid hormones which helps regulate this gland for optimal function. 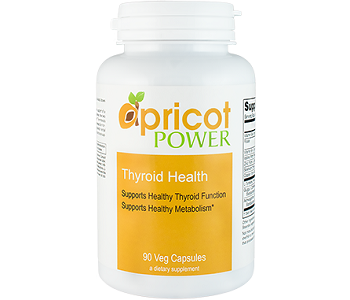 The following review of Apricot Power Thyroid Health provides detailed information on this product’s ability to support thyroid health, assist weight management and boost hormone production. This product contains a number of ingredients that are beneficial to thyroid health. Zinc, for example, plays a pivotal role in converting thyroid hormones into more productive versions. This conversion improves thyroid function and hormone levels. This product includes additional clinically-proven ingredients, such as Iodine and Kelp, which support thyroid health. However, this product lacks Magnesium and Bladderwrack, which are extremely beneficial ingredients for total thyroid care. As a dietary supplement, it is recommended that adults consume 2 capsules daily before meals or on an empty stomach. The manufacturer provides clear instructions of use for optimal results which gives consumers peace of mind when consuming this supplement. This dosage provides sufficient quantities of its key ingredients which can prove beneficial for thyroid health. The long-term use of Iodine can have harmful health implications when used in extreme doses. This product contains 225mcg of Iodine per serving which is enough to lead to an overactive thyroid. Negative side effects include sweating, irregular heartbeat, and irritability. These should be monitored in order to avoid irreparable damage. This product can be purchased through the Apricot Power online store. A bottle of 90 capsules costs $19.99. This is a reasonable price when compared to alternative products on the market. The long-term use of this product should not be too costly as this product should last up to 1 and a half months. The manufacturer offers a 5% discount when purchasing 2 bottles and a 10% discount when purchasing 3 bottles. These do not provide substantial savings. The manufacturer’s products are supported by a 100% money-back guarantee. This guarantee is in effect 30 days from purchase. The guarantee only provides a refund for store credit. Consumers are unable to apply for a cash refund which means that they will have to purchase a different product from Apricot Power whether they want to or not. This does not support the efficacy of this product specifically. The refund only applies to the first bottle which limits a consumer’s ability to receive additional refunds. We were unable to find sufficient customer reviews for this product which suggests that this product is an unpopular choice on the market. This raises concerns regarding its ability to produce desired results. 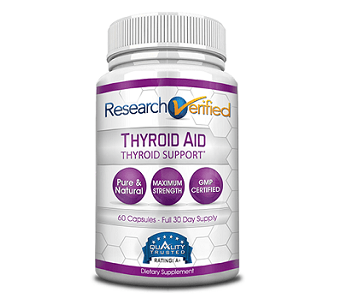 This product contains several beneficial ingredients that are clinically-proven to support thyroid health. The reasonable price makes this product an appealing option on the market. However, the complicated return policy does not bode well for the efficacy of this product. The lack of customer reviews is a major concern. For these reasons, we cannot recommend this product as an effective solution to thyroid problems.